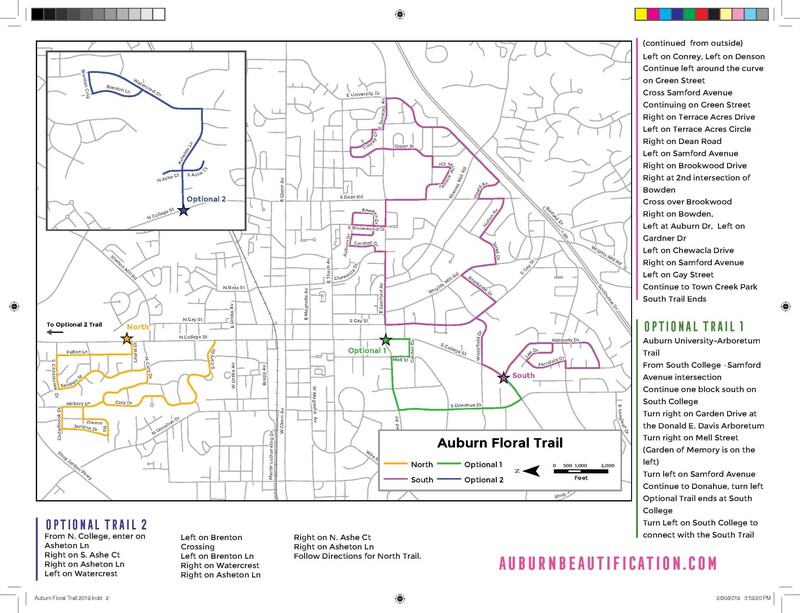 The annual Auburn Floral Trail will begin March 11, 2019, and run through April 19, 2019, highlighting some of the finest foliage Auburn has to offer. 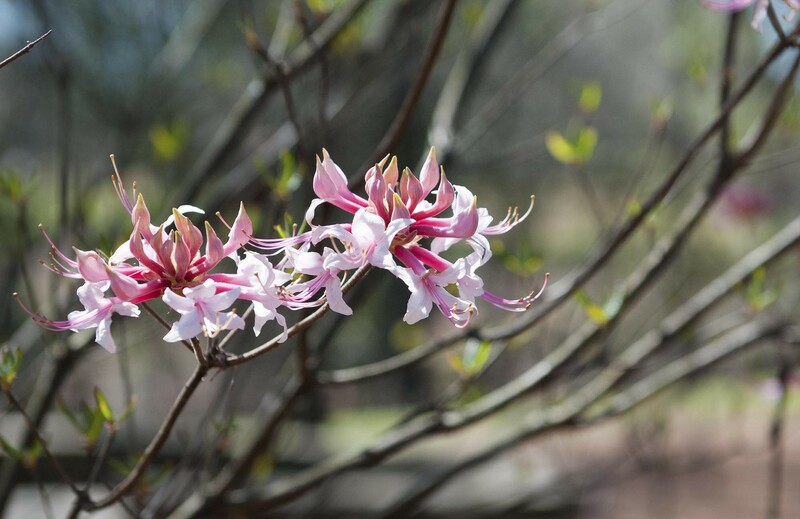 The trail features some common springtime flowers such as azaleas and blooming trees such as pear, cherry and plum trees. The 14-mile, self-guided trail is broken into a 10.5 mile South trail and a 3.5 mile North trail along with two optional sections. It takes drivers along Auburn's neighborhood streets to view trees, shrubs, flowers and more that come alive after a cold winter. 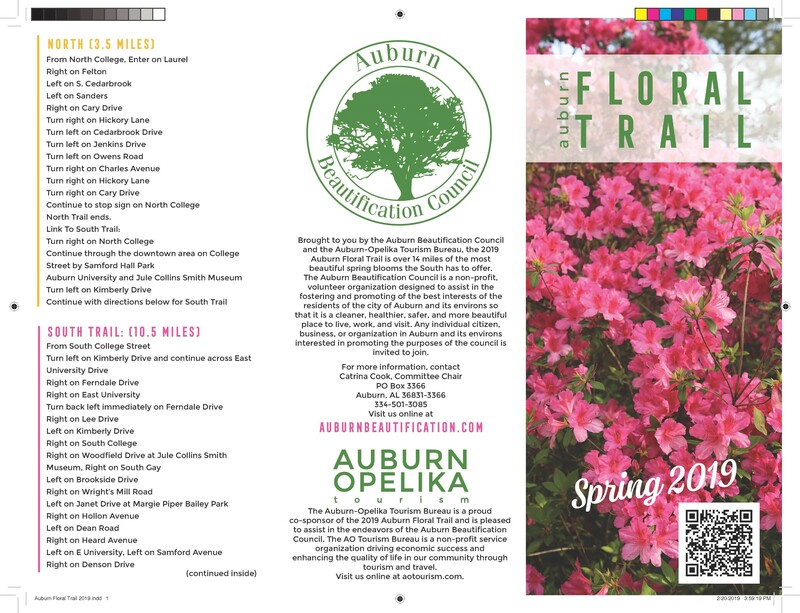 The Auburn Floral Trail is brought to you by the Auburn Beautification Council, Auburn-Opelika Tourism Bureau and the City of Auburn.